Before you head to the hills, take a browse through this important information. All rides completed between 26 October to 28 April qualify as a recognised 7 Peaks ride. Please refer to the Passport FAQs for information on how these rides are officially logged. 1. Download the official 7 Peaks Ride app on to your smartphone, via the App Store or Google Play. 2. Click on the Register/Log in tile on the main screen, then selected the Register > button. 3. Authorise the 7 Peaks Ride app to link to a Strava profile. You can either sign into your existing account or create a new one. 4. Make sure you have clicked the check boxes to allow access to activities, then press the Authorize button. 5. You will recieve a message confirming your registration. Then, click "Done" or close the window (use the X in the top right on Android phones) to return to the 7 Peaks Ride app. 6. Now you can research the peaks, explore ride segments, keep an eye on what your mates are doing (or not doing) and automatically rack up the completion stamps in your digital passport every time you complete a peak. Once you have registered, the Register/Log in button remains on the 7 Peaks Ride app home screen. To confirm that you are logged in - click on the Passport tile on the home screen. You will see a green thumbs up or a red thumbs down confirming whether or not you are logged in. If you see the grid of 7 Peaks squares ready to be stamped, as above, then you are good to go! Once you have completed a Peak and logged the activity in Strava, your stamp will appear in the app by 8:30pm that night. Q. How do I track my rides? A. Track your rides with your preferred GPS tracking device e.g. bike computer or Strava mobile app. Q. How do I get stamps in my digital passport? A. After tracking your rides with your preferred GPS tracking device, upload them to Strava where they will be matched to the 7 Peaks Strava segments. 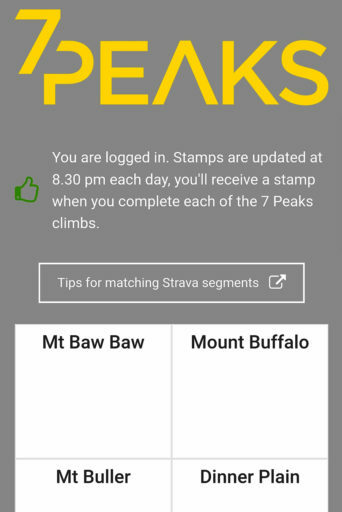 When your rides are matched to 7 Peaks Strava segments you will automatically rack up the completion stamps in your digital passport in the 7 Peaks Ride app (stamps are updated by 8:30pm every night). Q. Can I track my rides using the Strava mobile app? Q. I don't have a Strava account, how to I create one? Q. What are the exact 7 Peaks Strava segment URLs? Q. What should I do to make sure my ride matches the 7 Peaks segments? Q. How do I refresh a Segment result? Q. My ride does not appear in the Strava Segment leaderboards, how can I appear in the leaderboard? Not receiving a stamp in your Passport after completing a ride? Please go through this troubleshooting guide. 1. You must be registered with the 7 Peaks App. Download the App and click 'Register', follow the prompts. 2. You must be logged in to the App. If you accidentally log out of the 7 Peaks App you will not see any stamps in the 'Passport' page. To login, click on the 'Register' button and go through the steps again. Once completed you will be logged in to the App and stamps will appear in your Passport for any completed segment. You will not be registered for a second time. 3. Your ride must match one of the offical 7 Peaks Strava segments. To ensure your rides are matched to the correct segment by Strava, check the start and end points before riding a peak and make sure you ride at least 10 metres before the start of the segment and past the the finish. Check Strava and make sure your ride has matched the correct 7 Peaks segment. Try using this tool to match your ride to a 7 Peaks Ride segment in Strava - https://support.strava.com/hc/en-us/articles/216918247-Using-the-Potential-Segment-Match-Analysis-Tool. NOTE: this can only be done via a desktop web browser. - Go to your Settings page on Strava.com by hovering over your name in the top right and selecting "Settings". - Click on the Privacy tab on the left side of the page. - Untick the box next to "Make my activities private by default. Any activity can be made public after it has been uploaded". - Your activities will now be uploaded as public. - Your new activities will be uploaded as public. Once all of your Uploads are 'public' by default, go to each 7 Peaks activity that you have already completed and ensure it is 'public'. - When you "Edit" the activity with the pencil icon, untick the "Private" checkbox. - On the Edit activity screen there is a 'lock' icon for the Private activity feature - ensure this is 'off'. 6. If you have tried all of these points and still cannot match a ride to the correct 7 Peaks Strava segment. Please email proof of your ride to [email protected] (photo at the top, screenshot of your Strava ride...) and we can manually add a Stamp to your Passport. It’s a good idea to check that roads are open before you go. For Victorian road closures check out the VicRoads website. For events and activities that may have an impact on traffic and road conditions check each Peak's website by using the links at the bottom of this page. Official emergency warnings are broadcast on ABC Local Radio and commercial radio stations across Victoria and on SkyNews television. Make sure you are aware of the conditions and listen to warnings by tuning into one of the local radio stations, SkyNews or visiting the Emergency Services website. Always check the weather forecast before you set off on your ride. Alpine weather changes very quickly, even in summer. Always tell someone where you are going and when you expect to return. Always carry adequate clothing for changing weather conditions. Always carry adequate water and food as you might not be able to access either at the top of the climb. Carry a mobile phone, but be aware that mobile coverage is not guaranteed. Be fire ready and stay safe. Be aware of the Fire Danger Rating for the day you are cycling, especially in high fire-risk areas. If the day is declared a day of Code Red fire danger follow the advice from emergency services. For up-to-date information on fire danger ratings in Victoria or general safety advice contact 1800 240 667 and check out the CFA website. Know the rules, share the road and enjoy the ride. Download the Code of Conduct. This promotion is open to anyone with the exception of employees of the participating agencies. This promotion is valid from 26 October 2018 – 28 April 2019. 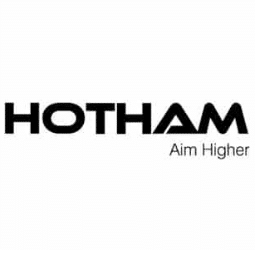 All entries must be received by Tourism North East before 5.00pm on Wednesday 1 May 2019. 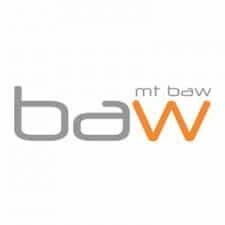 Submit entries automatically via the 7 Peaks mobile phone app or in hard copy to: 7 Peaks Ride at Tourism North East, Level 1, 19-23 Camp Street, Beechworth VIC 3747 or email: [email protected] Either passport stamps or Strava results for each ride segment may be submitted as valid entry formats. Major Prize Draw: Participants must complete at least one of the eligible 7 Peaks climbs by pedal powered bicycle and submit a 7 Peaks Passport (app or hard copy) with validation for each climb to be eligible to win the major prize. Participants will be awarded one entry for every 7 Peaks climb completed (including multiples of the same climb) up to a maximum of 7 entries. If the participant completes all 7 Peaks climbs, they shall receive a bonus 10 entries in the prize draw for a maximum of 17 entries. Each participant is entitled to one passport per person and thus a maximum of 17 entries. Each entry receives a random and equal chance of being drawn. 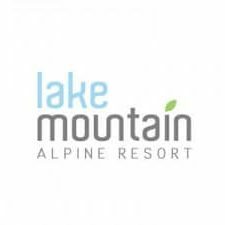 Participating resorts include: Mt Baw Baw Alpine Resort, Mount Buffalo National Park (represented by Parks Victoria), Mt Buller Alpine Resort, Dinner Plain Alpine Resort, Falls Creek Alpine Resort, Hotham Alpine Resort and Lake Mountain Alpine Resort. The winning entries will be drawn via random electronic draw on Friday 3 May 2019 at 10.00 in the offices of Tourism North East, Level 1, 19-23 Camp Street, Beechworth VIC 3747. All winners will be notified by phone and confirmed in writing. The results of the competition will be posted on 7peaks.com.au for a minimum of 28 days. If for any reason another draw is required such as for unclaimed prizes, it will be held on Friday 10 May 2019 at the same time and place mentioned above. Results of a second draw will be notified on the website. Major Prize: Provided by Wide Open Road (WOR) Cycling Tours. Valued at $14,000. Includes 2 places on a 2019 WOR Cycling Tour timed to see the Tour de France; an airfare voucher to the value of $4,000 to spend on 2 return economy airfares to Europe; twin share accommodation in 2-3 star hotels and quality campgrounds; around 6 group evening meals with quality regional food and wine; daily breakfasts; afternoon teas; support vehicle and mechanical assistance; daily maps; route notes and GPS upload routes; daily luggage transfers. Does not include: Airport transfers; any additional expense incurred to purchase flights, accommodation before/after the Cycle Tour inclusive dates; lunches, non-group evening meals, sports drinks, energy bars, snacks, alcoholic beverages other than those included in group meals. Winners must adhere to the WOR Terms & Conditions. Total promotional prize value is up to the value of $14,000. Use of Information: Participant information will be shared by the participating agencies and may be used to deliver promotional material and information specific to their resorts. Participant information will not be distributed to agencies not included in this promotion. 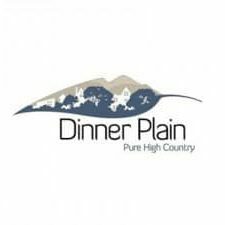 This promotion is a joint initiative of Mt Baw Baw Alpine Resort Management Board, Parks Victoria, Mt Buller and Mt Stirling Alpine Resort Management Board, Dinner Plain Management Committee, Falls Creek Alpine Resort Management Board, Hotham Alpine Resort Management Board, Lake Mountain Resort Alpine Management Board, and Tourism North East. It is managed by Tourism North East. All participants acknowledge that cycling involves risks and hazards and agree to hold harmless and indemnify all parties identified in section 9 of these terms and conditions against any and all losses they may suffer as a result of attempting or participating in any part of this promotion. All prizes are non-transferable and are not redeemable for cash.  The promoter is North East Victoria Tourism Board Inc. trading as Tourism North East ABN 84 715 244 593.